Avid Creative | Two time Winner — Freelancer of the Year — Woot! Two time Winner — Freelancer of the Year — Woot! What a great night, FU2 was in full effect! 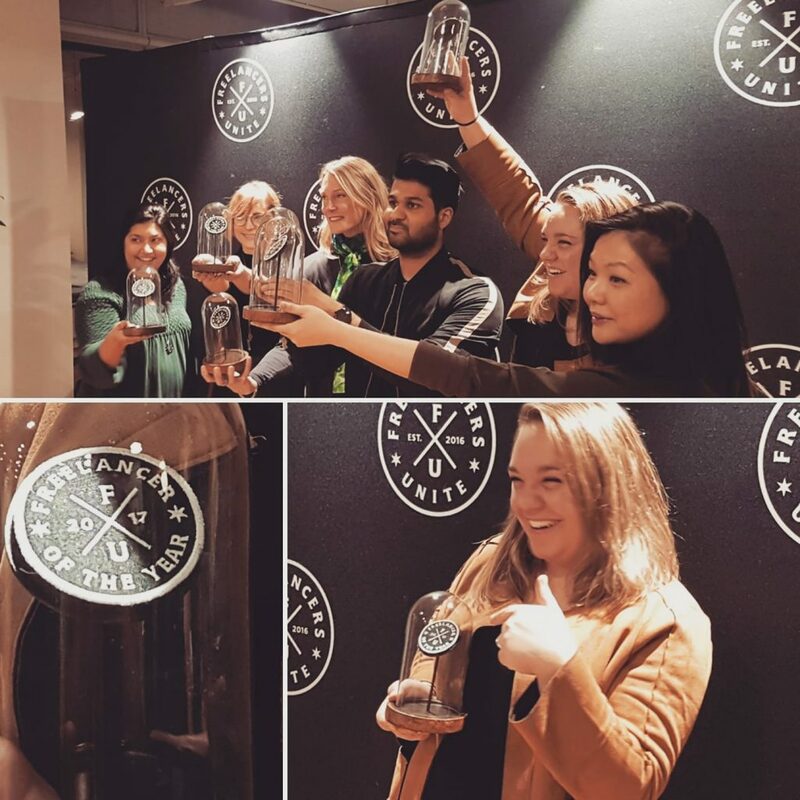 Toronto; creative full-service agency, CO-OP hosted the second ever FU Awards last night. The room was filled with creatives and the energy was alive. CO-OP works closely with freelancers and supports the creative independent working community so it is fitting they put on this (hopefully annual) spectacular event. CO-OP’s team was welcoming and fun! I am so grateful to have been surrounded by great talent and great supporters of the independent creative working industry. A big congrats to all of you! My husband and I also met Chicago based illustrator Johnny Sampson. He delivered a spectacular speech that was as animated as his illustrations! Speaking on the life of freelancing; it trials and successes. Above all, thank you to everyone who voted and nominated me I can’t do what I love without my great support system. You rock! I hope to one day repay you however I can. I feel this is to the start of another great year ahead.